It has been a busy 6 weeks for me. I did three pretty big things I NEVER imagined I would be able to do. The first thing I did was qualify for Boston. I had thought about trying to qualify when I first started running but after my first couple marathons I couldn’t wrap my head around running a marathon under 3:40. It seemed impossible. I knew that to do it meant I would have to really commit to work on my speed, something I had never enjoyed. But with a great training program, the support and encouragement from my friends, and more long runs than I had ever done while training for a marathon I pulled it off and qualified by running 3:34:43! The next thing I did was win my age group in a marathon. I had signed up for the Santa Clarita Marathon in case I didn’t qualify for Boston when I ran Portland. Granted, it wasn’t the biggest group of people running but who cares! I won my age group!!! The coolest part is I made the leaderboard for the race so when people go to see the results they will see I was the fourth woman overall! The third thing was I completed an Ultra trail run. I ran a 50K just two weeks after running the Santa Clarita Marathon, and just 6 weeks after doing Portland (that should qualify me to be a Marathon Maniac as well!). 6 Months ago I would never have imagined running 31 miles, let alone on trails with over 5000 ft of elevation gain. Now I didn’t train specifically for this race so honestly I was a little disappointed with my time. But the more I thought about it I realized that I did something that not too many people can do. 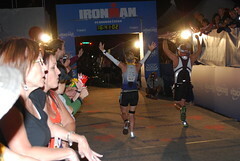 So this year’s racing has come to an end and it is time to start planning for 2012. 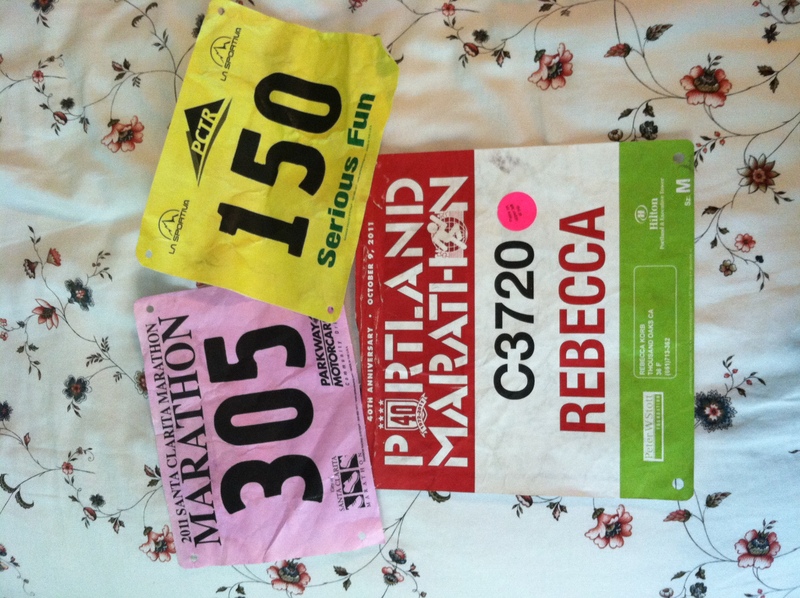 I am going for a pretty big trifecta on May 5th as well… Wish me luck! 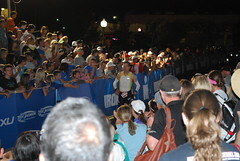 Click here to hear a podcast where I talked about my three races with Kimberly L.
Awesome, awesome, and awesome! Congratulations on all three counts and best of luck in Saint George! Way to start at the top!